The major goal of this lecture is to explain about some Renal and Heart Diseases in Pregnancy. First section targets at elucidating the Maternal Condition. In the beginning, the educator has talked about the Maternal Medicine. Moving ahead, the educator has spoken about various Complaints of Pregnancy in the form of a flow sheet. In addition to this, Renal Disease has also been shed light on. In the end, the educator summed up by conversing about the Pregnancy Counselling. Section two emphasizes on the Chronic Kidney Disease. Firstly, the educator mentioned about the five Stages of Chronic Kidney Disease followed by a debate on the Effect of Chronic Kidney Disease on Pregnancy Outcomes. Along with this, Monitoring of Patient and the Dialysis procedure has also been presented. Further, Pregnancy in Women with Renal Transplants has been also brought into consideration. Conclusively, the educator has brought down the curtains by describing the Monitoring of Renal Transplant Patient. Section three accommodates the Heart Diseases during Pregnancy. Initially, Heart Disease has been expounded via a flow diagram. Subsequently, four Stages of Heart Failure have also been narrated. Moreover, Pregnancy Counselling and Issues in Counselling of Women has been conversed about. Furthermore, Antenatal Management has also been comprehensively delineated. This is succeeded by High Risk Cardiac Conditions. 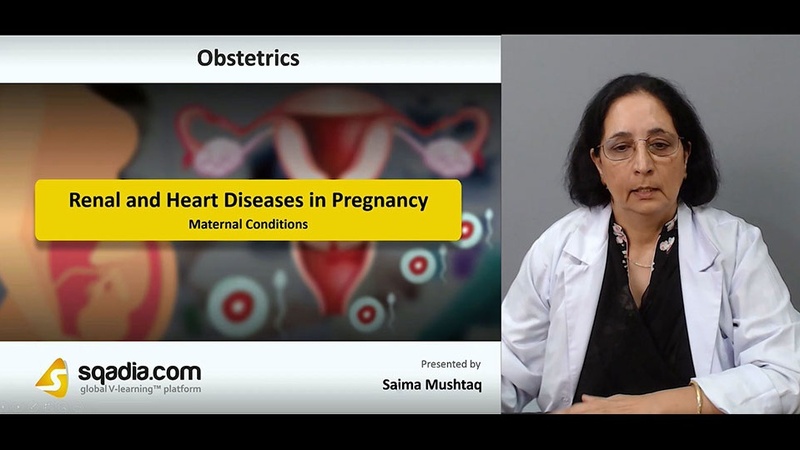 In the end, the educator concluded by talking about the Fetal Risks of Maternal Cardiac Disease. The prime focus of section four is on the Management of Heart Disease. The educator sets about by stating the Management of Labour and Delivery, in detail. 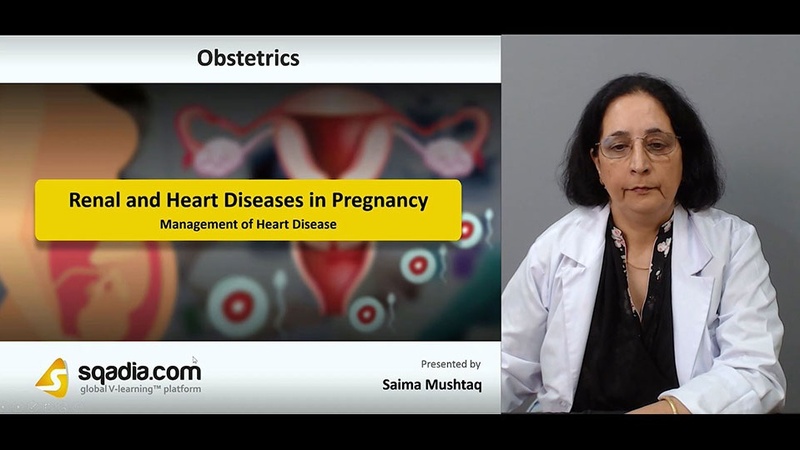 Moreover, Management of Labour in Women with Heart Disease and Treatment of Heart Failure in Pregnancy has been explicated as well. Finally, the educator has highlighted about certain Risk Factors for Development of Heart Failure. The focal point of section five is Special Condition of Heart. The educator commenced by defining a malady called Ischaemic Heart Disease. Besides this, Mitral and Aortic Stenosis and Marfan Syndrome has been brought into consideration. This segment comes to conclusion when the educator elucidated an ailment called Pulmonary Hypertension.